The Rebel Sweetheart. : Foodie Goodie | Lucky Me! Special Pancit Palabok. On days when I don't feel like cooking (i.e. during weekends when the little man is at my in-laws and I'm basically home alone) or during instances when I crave for palabok but don't want to go through the hassle of prepping and cooking, I go to this big winnowing basket and reach for a pack (or two) of these. Oh yes, instant palabok from Lucky Me! 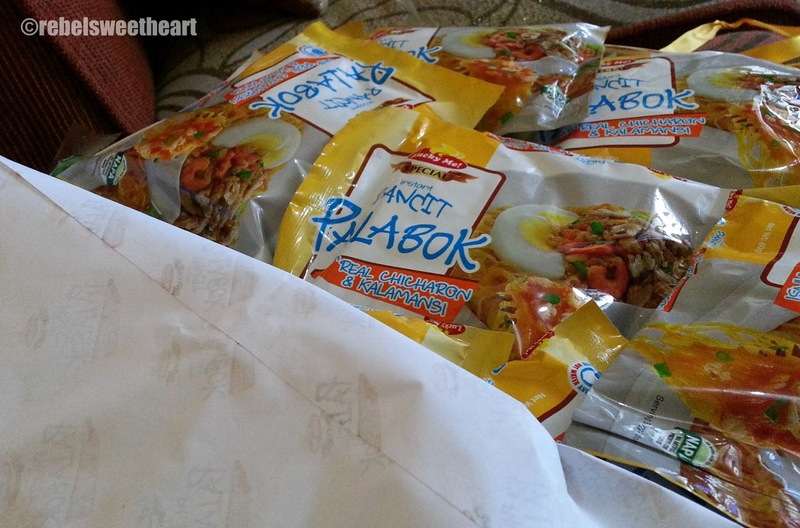 More specifically, they're Special Pancit Palabok made by the popular food company, Monde Nissin. 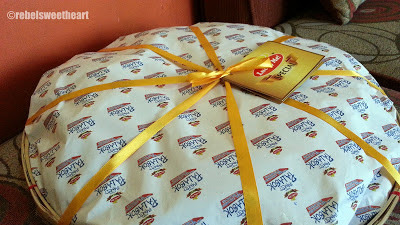 This big basket actually came last month - delivered right at my doorstep by representatives from Lucky Me. One of them came garbed in a chef's uniform, much to my surprise! Too bad I wasn't able to take a photo. Hee! Packed the way real palabok should be. 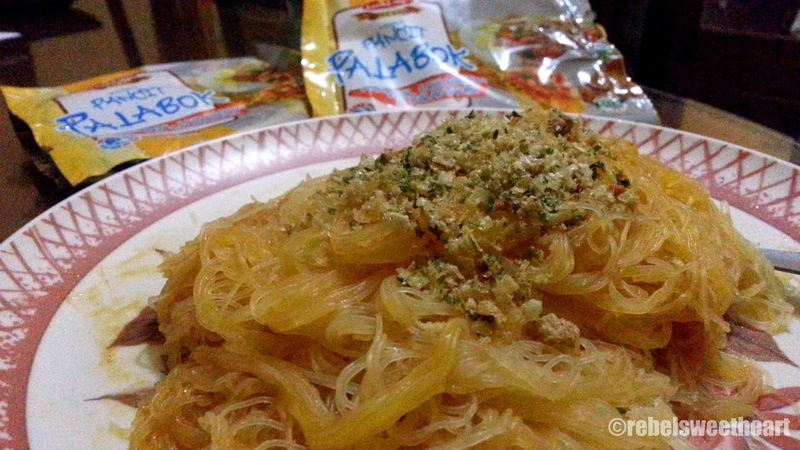 For my non-Filipino friends and followers, palabok is a traditional Filipino food. It's a dish made with rice noodles, smothered with shrimp sauce, and topped with chives, meat, pork cracklings, and egg. With Lucky Me's instant version, you get pretty much the same thing. The best part? It only takes four minutes to cook! Place noodles in a bowl, then add boiling water. Cover, and let it stand for four minutes. Add the sauce and mix well. Top with garnish. Voila! A hearty meal ready for your enjoyment! 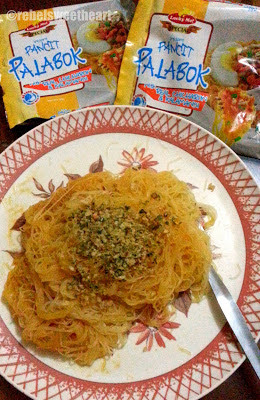 I buy Lucky Me noodles but I have not tried this Palabok yet, only the instant Lomi, which is quite good! Our helper put the bilao in the ref. She didn't open it, she thought it was actual palabok and it might spoil, lol! I love Lucky Me Pancit canton and I eat at times as filling to bread. It's really easy to prepare. 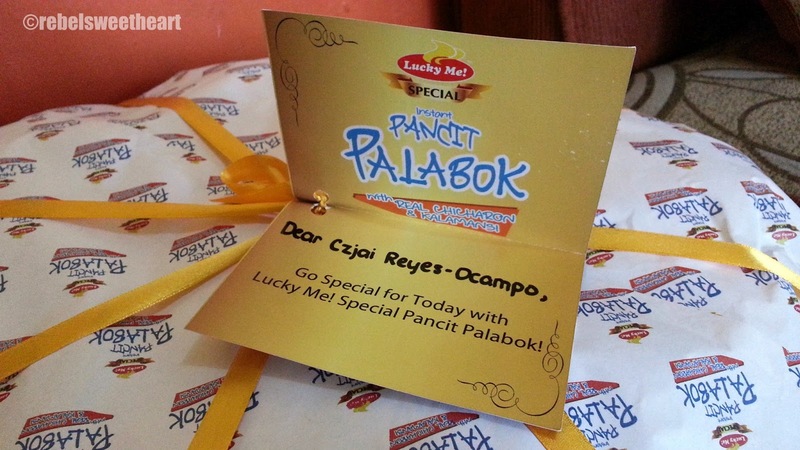 If it tastes like the real thing, then I should try this Special Pancit Palabok from Lucky Me soon! 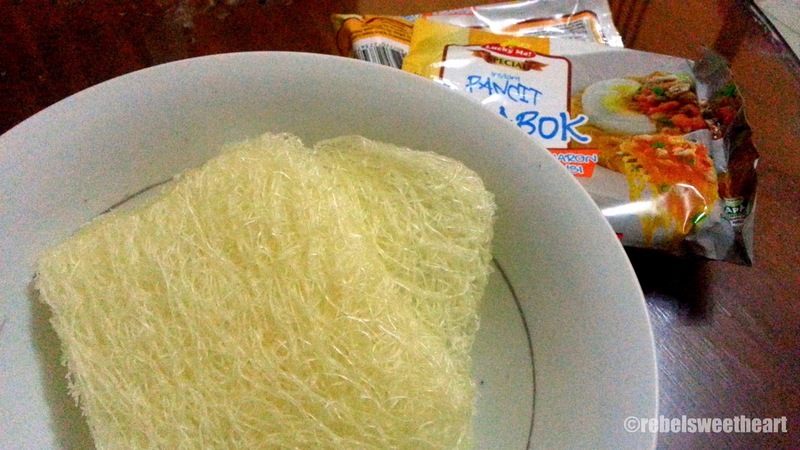 Even my lola's yaya thought the bilao contained real palabok haha! Love a meal that's made in 4 minutes! I love making a quick and easy meal when I don't feel like cooking a large meal when I am alone either. I tend to pick up a frozen meal. My kids love eating ramen, I don't like them to eat it all the time due to the high salt content. Some day quick and EZ is just what we need-- we have a noodles in a cup in the US my kids call them Ms Spider noodles because they think they look like a tangled up spider web LOL we have them about every other week on nights when Dad is working.SO FILLING!!! This looks good I'll have to check out at our world market if they carry a dish like this. Oh my goodness! This just made my stomach growl! It's a lot of miles before I could get to a filipino store around here. This looks soooo yummy! i wish i'd get a pack, too; complete with the chef-garbed delivery guy (am assuming lalaki yung nagdeliver)! hehehe. lucky you! haven't tasted these yet, but looks promising! Oh my I have never heard of these, it looks yummy though. Sometimes you just need to go with something quick. Enjoy!